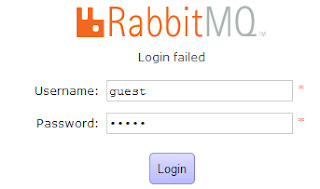 If you have newly installed RabbitMQ server and trying to view queues or exchanges using RabbitMQ web management console you may see below error, while login with guest account. 2. Once plugin is enabled, you will need to update the rabbitmq.config file. Create if not exists and edit "/etc/rabbitmq/rabbitmq.config" file. Now you should be able to login to management console with guest user account. Error: No package erlang available. If you are getting these errors mean you don't have RHEL EPEL Repo updated to fetch Erlang builds. So you will need to update your repo. Mozilla has released the Firefox OS 2.5 Developer Preview which you can try on your Android phone just like any other app. 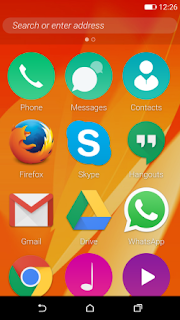 The Firefox OS 2.5 has released apk which you can install on your Android device and by pressing home button it will start as new Home screen. Going back to older home screen you can use ur Android as is. Visit Mozilla Blog for more details. You can download apk from here. While running command "python -m SimpleHTTPServer" you may get error "No module named SimpleHTTPServer"
Else try installing the SimpleHTTPServer module. You can enable or disable the Dashboard on MAC OS X using System Preferences. 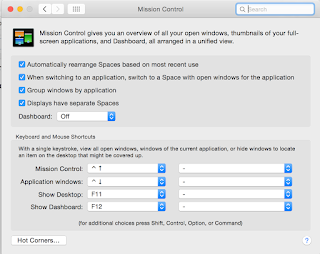 Launch System Preferences -> Mission Control. 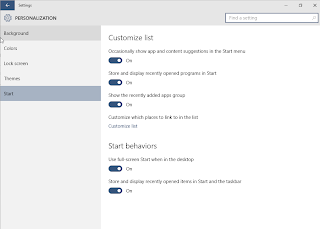 Under Mission Control preferences you will find Dashboard and combobox of Dashboard Setting. Choose Off from the list items and Dashboard will disappear. If you like the Windows 8 full screen start menu then you can enable it on Windows 10 also. On your Windows 10 machine launch Settings ( start menu -> Settings). Go to Personalisation -> Start. Under Start Behaviours enable "Use full screen start in Desktops" as shown in image below. If you upgraded your mac with recent update, and some of your apps are behaving weirdly, then you might want to repair the disk permissions. To perform this launch Disk Utility searching from "Spotlight Search", now from right pane select the disk where mac is installed. on left pane you will see the "Repair Disk Permissions" button. Click this button. This will start the repair operation. You can also select the "Show Details" check box to see what all permissions are corrected or failed. If your MAC is showing crash report with error "Emulator64-x86 quit unexpectedly" while launching the Android emulator, and you have tried other solutions but didn't help then you might want to repair the Disk Permissions for your MAC. Go to Disk Utility and select disk where mac is running and hit "Repair Disk Permissions". The issue might be with the Virtual memory permissions and this could solve the issue. You may get the error while compiling the Android app "Errors running builder 'Android Resource Manager' on project 'lock'. java.lang.NullPointerException". You could also get this error while creating a project and you wouldn't be able to create the project altogether.